Our Saturday Morning Clinic & In-House Program are designed to provide training in basic soccer skills in a fun and purely recreational environment. The programs are instructed by professional soccer coaches from the Victory Soccer School with assistance from our parent and high school volunteers. 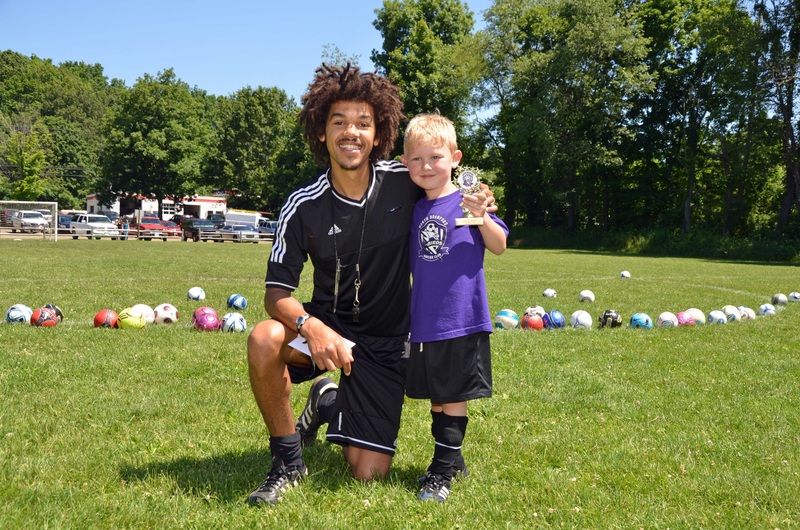 The NBSC provides each registered child a uniform each year (the soccer year begins with the fall session and ends with the spring session). Uniforms will be distributed at the field on the first Saturday morning session on September 15th. Please arrive a few minutes early pick up your uniform. All children should have cleats, shin guards and a soccer ball (these items are not provided by NBSC). They can be purchased in a bundle at your local sporting goods (Dicks Sporting Goods) store for around $35-$45. Each child should also have a water bottle or sports drink for each session. The Saturday Morning Clinic runs for 8 consecutive Saturdays starting April 27th and ending on June 15th. The In-House Program runs for 8 consecutive Saturdays starting April 27th and ending on June 15th. The mid-week practice runs for 7 consecutive Thursdays starting May 2nd and ending on June 13th. Copyright © 2001 - 2019 North Branford Soccer Club. All Rights Reserved.